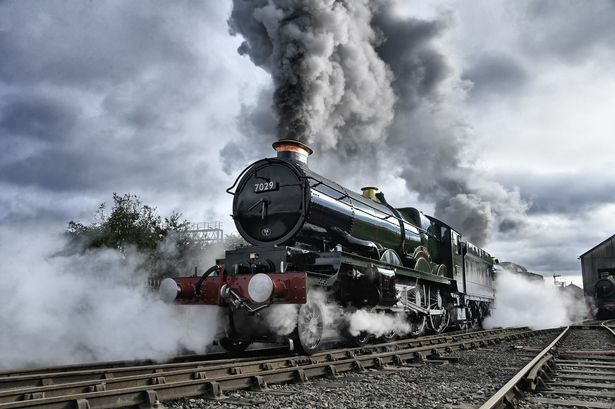 Steam train company Vintage Trains has agreed a new partnership with regional transport chiefs which it says will stimulate the West Midlands economy. The Tyseley-based company said the partnership with the West Midlands Rail Executive would focus on the integration of franchise, community and heritage activities. It will work with the Heart of England Community Rail Partnership with the aim of establishing the Shakespeare Line and its stations between Birmingham and Stratford-upon-Avon as Britain&apos;s premier mainline heritage railway. The Heart of Heart of England Community Rail Partnership is a collection of rail user associations which strive to encourage communities to become much more involved with their local railway stations. Vintage Trains restores and promotes trips on steam trains and also runs Tyseley Locomotive Works in Birmingham. In 2018, it launched a share sale scheme to raise £3 million to support its work which is said to be the first initial public offering of its kind in more than 100 years. The scheme closes at the end of April. The company is now collaborating with the rail executive on promoting the region&apos;s rail network, attracting tourists to the West Midlands and creating apprenticeships and volunteering opportunities. It will also work to preserve skills in the maintenance of steam locomotion that would otherwise be lost and try to create more jobs in the Tyseley area. Malcolm Holmes, executive director of the rail executive, said: "West Midlands Railways is creating a single network vision to deliver efficiency and growth in rail services across the region. "Steam trains offer an exciting opportunity to add value to our network and play a crucial role in promoting our brand by expanding the role our railway plays in the community to encompass leisure and tourist activities." Michael Whitehouse, chairman of Vintage Trains Charitable Trust and the Community Benefit Society, added: "We are extremely proud to be working together with rail executive to help stimulate the West Midlands economy through the power of steam. "This partnership will secure the future for main line steam and, with the establishment of the Shakespeare Line as Britain&apos;s premier mainline heritage railway, together we place the region firmly on the global railway map."